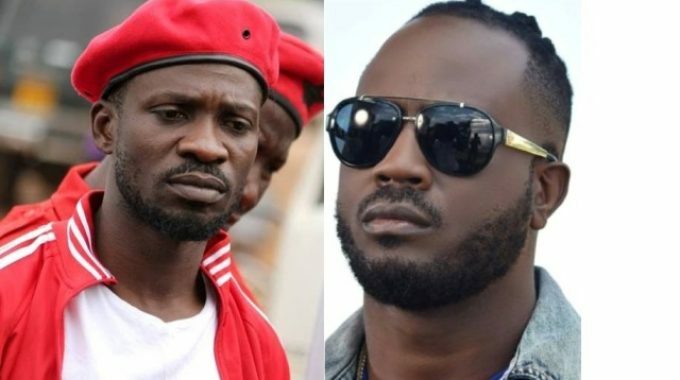 ACCRA– Ugandan musicians Bebe Cool and Bobi Wine who is also the Kyadondo East Member of Parliament Thursday afternoon arrived in Accra, Ghana ahead of the 3-day AFRIMMA Awards. Unlike Bobi Wine who will be acting as one of the judges, Bebe Cool is the only Ugandan musician nominated to battle for best male artist in East Africa year 2018. The Awards that will be kicking off tonight will be broadcasted live on DStv channel 196 to Premium, Compact, Compact Plus, and Family and Access customers and on GOtv MAX and GOtv Plus Channel 129 across Africa. DStv customers across Africa can also watch the events live on the DStv Now app on their phones as well. AFRIMA is the most anticipated music awards in Africa with the participation of over 700 artistes across the continent. The “Nsirikamu” singer was from US where he has been for holidays while Bobi Wine together with Nubian Li also landed safely in Accra.